Doraemon & Hello Kitty United at Last! Japan's two most famous not-quite-cats have teamed up for a line of character goods that will have every fan running for their nearest Sanrio store! 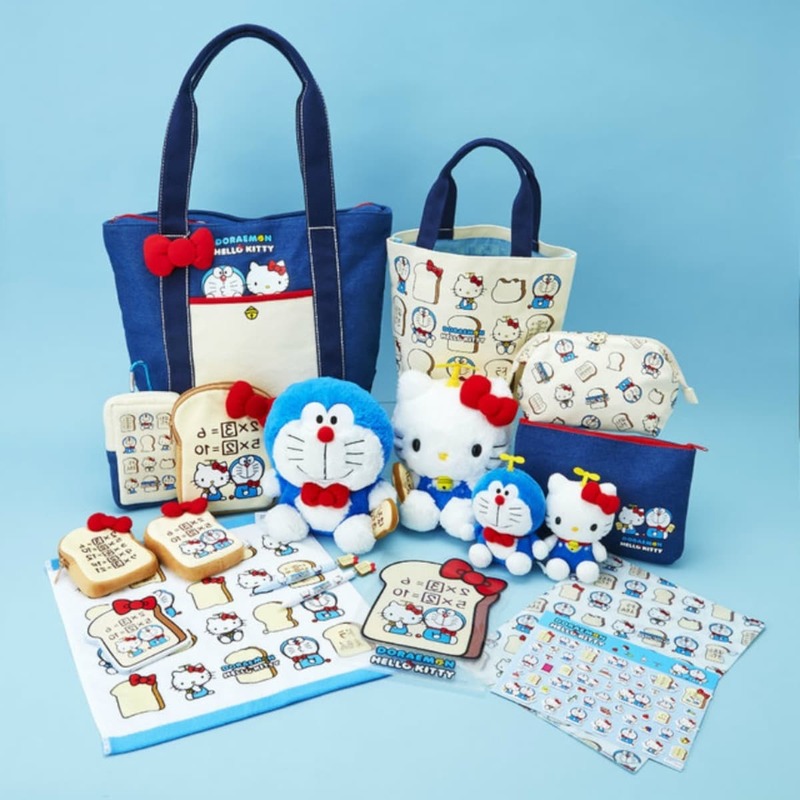 The product list includes pouches styled after Ankipan (Memory Bread), a Doraemon plush keychain bundled in his Time Furoshiki (Time Kerchief), various bags, plush keychains, clear files and more! Check out the full list at Anime News Network! Anime News Network was created as a news source that focuses on the medium of Japanese Animation (anime) and Japanese comics (manga). With in-depth coverage, analysis and commentary to provide insight into the world of anime and manga, ANN has been and continues to be the #1 English language source for anime and manga news on the Internet.